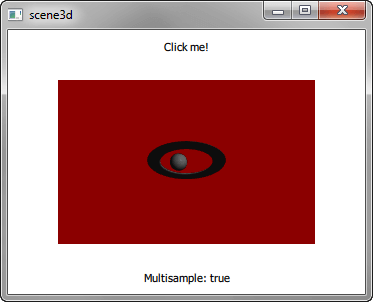 Scene3D demonstrates visualizing a 3D scene from a Qt Quick application. The 3D scene contains a single active camera and a single active light source. Visualized data is assumed to be at a fixed location.